Iris Dupont doesn’t particularly want to move to the small town of Nye, the name of which sounds like a negation. Her parents, though, think that leaving Boston and the memory of her best friend would be best for Iris, perhaps she’ll even start talking to her imaginary friend, who takes the guise of dead newsman Edward R. Murrow. Her new prep school, Mariana Academy, is all about status and popularity, which doesn’t fit Iris very well. Nor does it fit her favorite teacher, Mr. Kaplan who teaches freshman biology, but spends more time pushing his students to become ‘extremophiles’ than talking about Mendel. Both Iris and Mr. Kaplan quickly find themselves caught up in the storied Prisom’s Party, a secret society that is stalking Mariana’s halls. The Year of the Gadfly is told in two time periods from three different perspectives. 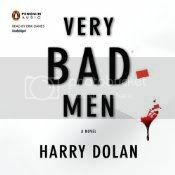 Iris and Mr. Kaplan both narrate the present, although Mr. Kaplan takes frequent trips down memory lane to his own time as a student at Mariana. The third point of view comes from Lily, an albino girl who is the daughter of the former headmaster of Mariana. 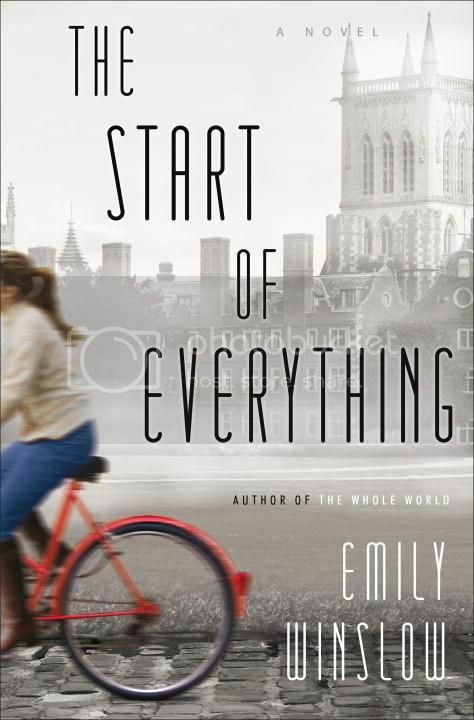 Iris is now living in Lily’s room, but Lily’s point of view focuses on her own time at Mariana, where she was a classmate of Mr. Kaplan’s – and his brother’s girlfriend. Three points of view, two time periods, the semi-ghost of Edward R. Murrow, a mysterious secret society – it sounds like Miller threw everything she could think of into The Year of the Gadfly. Upon reading the description, a reader can’t help but imagine that this must be a disjointed and overly ambitious story. Surprisingly, though, it all fits together as perfectly as a puzzle. Each piece, instead of detracting from the story, is necessary to get the whole picture. 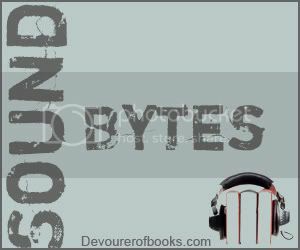 Iris is a highly entertaining protagonist, but Mr. Kaplan and Lily end up being developed just as well as she is, and their stories swirl together beautifully. 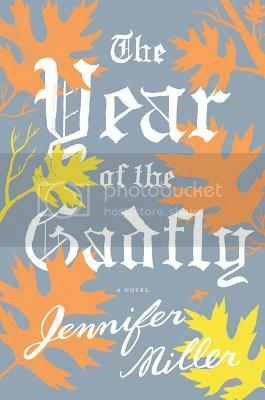 The Year of the Gadfly is a wonderful debut for Jennifer Miller. Between the characters and the mystery, you won’t want to put it down. Highly recommended. A whirlwind romance takes sensible Eve from her life in London doing French translations of boring, mundane things such as contracts to a lovely if somewhat decrepit old house in the South of France with a loving but secretive man named Dom. As summer fades, so too does the perfect live Eve imagined that the two of them were living together. She begins to question what happened in Dom’s first marriage that has made him the way he is today, and to feel a chill in the house around her that leads her to wonder if their lovely Genevriers is haunted. As Eve’s story unfolds, so too does a story of her house’s recent past, centered around Benedicte, a young girl who once lived in Genevriers with her troubled family. Initially the story of The Lantern unfolds slowly, it is well past the halfway mark before the reader has any idea what is meant by the title or how the stories of the two women will intersect. Luckily, the slower plot has Lawrenson’s lovely writing to fall back on. Aside from seducing the reader with beautiful language, Lawrenson is taking the first half of the book to fully develop Eve and Benedicte’s characters, as well as the secondary characters around them, giving the reader a stake in their lives when the tension begins to build in the second half the novel. And build it does. By the time I reached the halfway mark, I hesitated to leave the story, so drawn in was I; Lawrenson does a wonderful job building both investment and interest. And although I won’t spoil the ending, I will say that I found the wrap-up and explanations particularly satisfying. 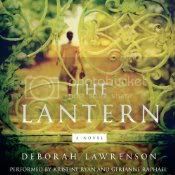 As tends to be the case with books produced by Harper Audio, the audio production – and particularly the narration – was wonderfully done in The Lantern. Both Ryan and Raphael are talented narrators, but I was particularly impressed by Ryan. The character she was portraying, Eve, was a French-educated American women who at the beginning of the novel had been living in London for years, but who moved early in the book to the south of France. Certainly a narrator could have decided to work with only one or two of these linguistic heritages, but Ryan had me wondering if she had the exact same background as her character. At the base of her speech was a standard American accent, but there was a definite British inflection, with a French accent that rose and fell, depending on what exactly she was saying. It was absolutely perfectly done, more than just believable, she completely lived into her character. Although there is somewhat of a slow start, sticking with The Lantern is a decision that pays off completely. I am confident that Lawrenson’s lovely book would stand up quite well in print, but Ryan and Raphael’s masterful narration adds an extra degree of wonder that is well-worth experiencing.